well over 9yrs to perfect!! One of my Goals in Fly Design- yet so simple. For the past two weeks its been like the February Summers , No wind and scorching hot! Every other day they forecast rain but it never happens. There is a big water shortage here at the moment, if we dont get rain soon- the farmers will this year be stopped by Environment southland (as they now have triggers on the rivers) from pulling water from the rivers for irrigation! Which can only be a good thing for the future of our waterways. As you may know i,m on rain-tank water and i nearly have run out- But my neighbor SUPER Kev(a man who can fix anything) has come to the rescue and we have got a bore in my garden working again! So now the tank is full again and i can now try and water the back section to get that grass i have been trying to grow happening- mind you this is now my second attempt at sowing the seed etc. Some how i,m better at growing weeds than grass. Looking at the long range forecast though it looks like wind and a bit of rain coming for January. Here is a photo of Santa having a laugh! All the rivers and lakes are dropping quite quickly and getting low and clear. With already in the upper reaches of some river systems some fish are getting trapped in pools. 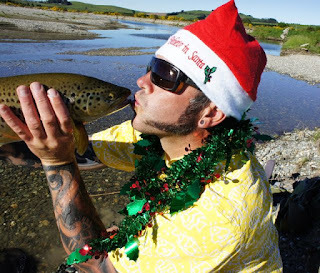 When the rivers drop like this there is only one place for the fish to go and thats down stream , so now you will find higher numbers of trout in the middle reaches of most systems. With Fish this Fat! there has to be Mice around! In the shop and on the banks of most rivers - Blow flies are abundant from small to very large. 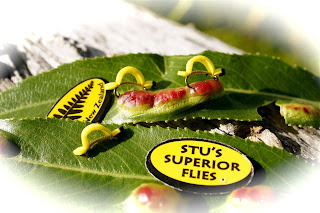 my Deadly Blowfly with a size 18 killer or nz grey mayfly nymph seems to be allot of peoples go to trout catching rigs at the moment. 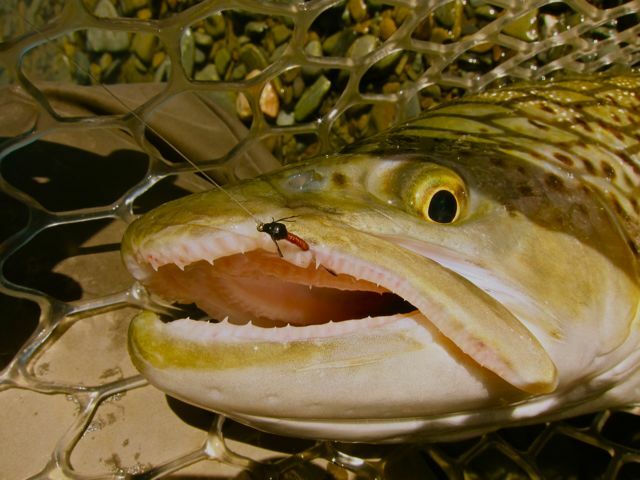 One of my clients caught a trout last week on a Cicada- but although they are chirping - its still not the go to fly. In the riffles- a mayfly bomb with a king pogo is pretty lethal - the floating king pogo nymph just dances in the water column, above the stones. As for the Larvae of the saw fly the willow grubs in this heat are falling from the trees- with everyday people coming in for dozens of my willow grub pattern. Accurate casting, drag free and fine 3.5lb Rio fluro is the key with this pattern- See my news letter this month for all the gory details! 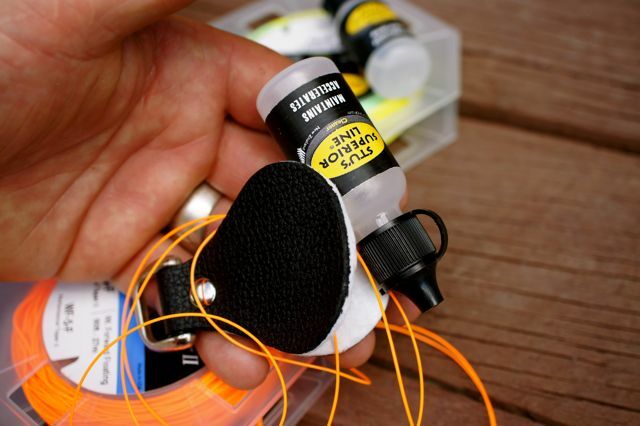 Stu's NZ killer as a dropper works yet again on the west coast! "How cool could you make a fly fishing shop at the bottom of the world?" "Got your package today. 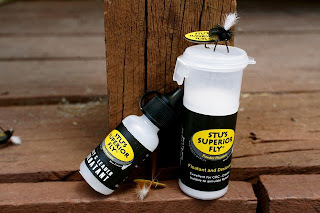 Flies look amazing, can't wait to try them." Really appreciate your tying and techniques, they are quite revolutionary! I had seen an article on your flies in Aus/NZ Flyfisher (#9) and I’ve noticed in some of your flies I’ve seen (Mayfly Bomb, World’s Deadliest Nymph, etc) that there is a legging material you attach to your thoraxes that I do not recognize. If I may ask, what is this material and where can I get some of these legs? What a year its been again, with so much happening in the world and at the shop. New fly designs and now my move into my own branded products. Just like my flies i will never sell you guys anything that is of poor quality. A years of research has resulted in me working with another in producing the new superior quality range of floatant and fantastic new line cleaner. The New Superior Product Range! Check out the cheap prices! Yes - felt soled boots are banned in NZ. I also hear they are this year about to be banned Alaska! Yes the guys that turned the wading boot world on its head announcing they for environmental issues would stop producing felt soled boots, with many of the other companies saying they would follow suit- Have reneged in what they have said - as they still have demand for them and can make heaps of money! So it does make me wonder! How much money do some need! Check out the new Superior line cleaner and accelerator- after treating your line with this new formula - it will float and shot much better , and last much longer!! 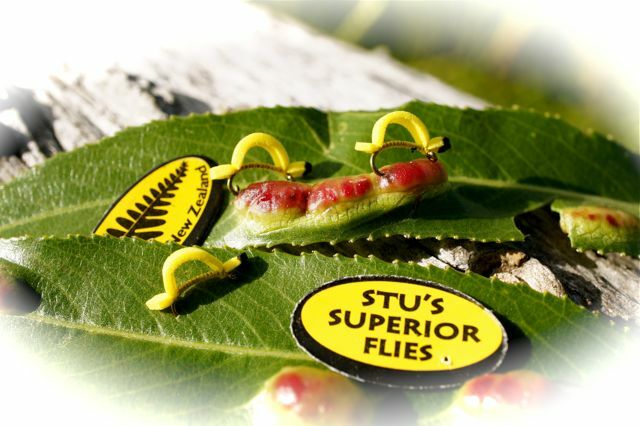 I Wish all of you the best for 2012 and may you and all your Keep friends Supporting Stu's Fly Shop for another year. Hopefully you still in 2012. You will like my new designs and news letters etc. Stu - "driven by sheer passion and living the dream"